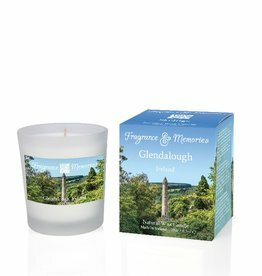 Fill your home with beautiful scents from Ireland! 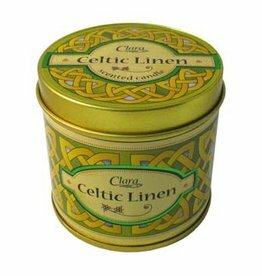 Each Celtic Candle is made using 100% natural wax and burns for approx 30 hours. With a scent as uplifting as a sunny day by the sea, now you can freshen any room in the home with the sparkling clean scent of Inis the Energy of the Sea!!! 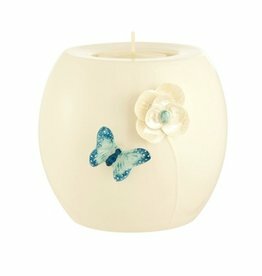 This beautiful Butterfly Meadows votive is perfect for springtime! Set it on your coffee table for an excellent centerpiece and conversation starter. The votive measures approx 3.75”H x 4”W. Tea light included. 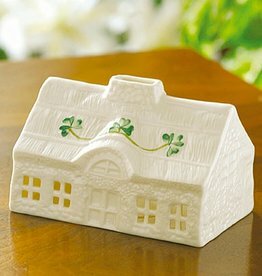 Look for other Belleek Living pieces. Watch the cottage windows glow, as if from a fireplace within! 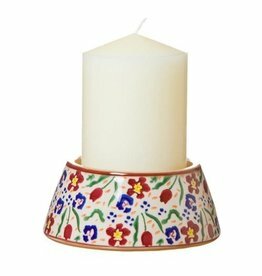 Simply place a votive candle inside and enjoy the display. 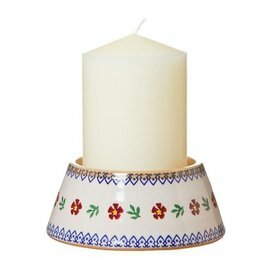 Charming details include handpainted shamrocks. Comes gift boxed. Made in Ireland!